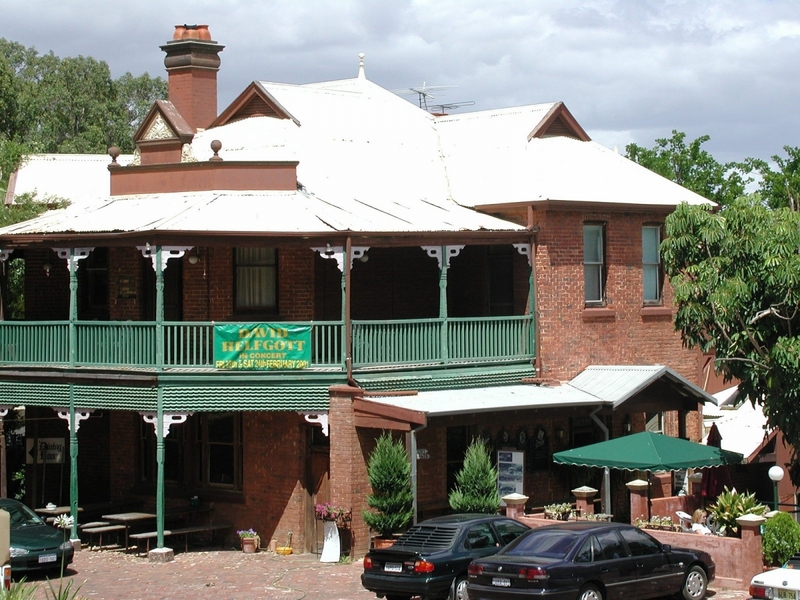 Heritage listed hotel set in beautiful gardens – and a popular watering hole for Bibbulmun Track walkers. Unit-style accommodation all with ensuites, linen, tea & coffee making facilities, small fridge, microwave, TV/DVD, reverse cycle air con and open fires with wood supplied (in season). Free wifi and EFTPOS facilities are available. Each unit sleeps up to 4 guests in double bed and bunks, or twin beds and bunks. Breakfast and lunch are available daily, and dinner on Friday & Saturday. Coffee, cakes and ice creams are also available. Sunday is family day at the Hotel, with many families enjoying counter meals, woodfired pizzas, and the Traditional Lamb Spit Roast and live Bush Band. A la carte breakfast from 8:30 – 11am Monday to Saturday, 8am – 11am Sunday. Counter meals available for lunch daily 11:30am – 2:30pm (3pm on holidays). Evening meals served Friday & Saturday till 8pm. Sunday Lamb Spit carved at 3pm, available till 4pm unless sold out. $16.50 Sunday Lunch 11:30am – 4pm, then pizza, chips & wedges till 5pm. A great spot to break the journey with a cold drink and a home cooked meal along the Track. Opening Hours: Open hours: Monday to Thursday 9am – 6pm. Friday 9am – 9pm. Saturday 8:30am – 9pm. Sunday 8am – 6pm.